Mount Enterprise received the district outstanding student council and sweepstakes awards once again at this year’s spring conference. In addition, Mt. Enterprise was recognized for outstanding work in community service, for outstanding school, state, and national pride and patriotism projects, for its numerous drug, safety, and health projects, and for energy and environment projects. The MHS Student Council has won these awards every year for 25 years straight! Congratulations to the MHS Student Council and advisor, John Thomas. Texas Association of Student Councils state awards are given to schools meeting the required point totals and documentation for the following project areas: school, state, and national pride and patriotism; energy and environment projects; drug, alcohol, safety, and health projects; community service; and outstanding student council criteria. 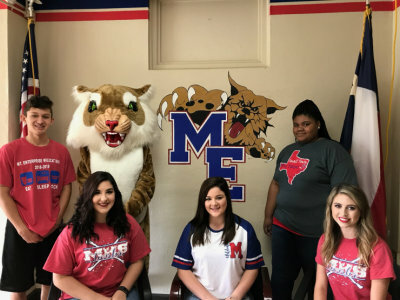 Schools that fulfilled all the necessary district requirements will also receive the above named state awards and TASC Sweepstakes award following the annual state conference in April.